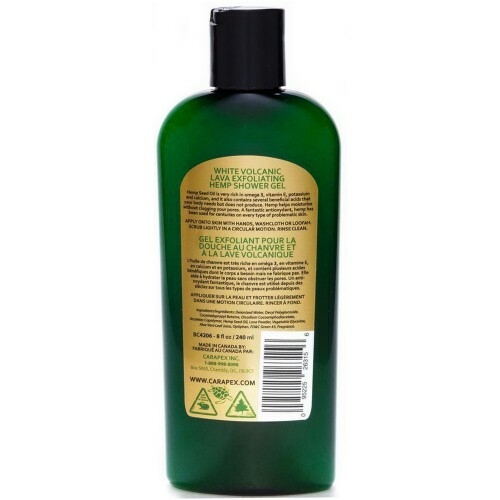 The name might be a mouthful, but the effect of this great Hemp Shower Gel has to be tried to be believed - it scrubs without scraping, providing effective yet gentle exfoliating! 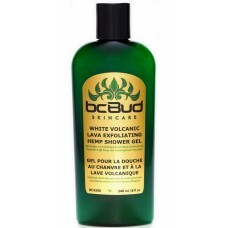 The gentle, tingling sensation of thousands of tiny lava particles softly massaging your skin is a fantastic one. These particles, directly imported from the volcanic regions of southern France, revitalize and stimulate skin cells. These particles float like crystals in a base of luxurious Hemp Oil Shower Gel, the perfect medium for the particles to do their work. 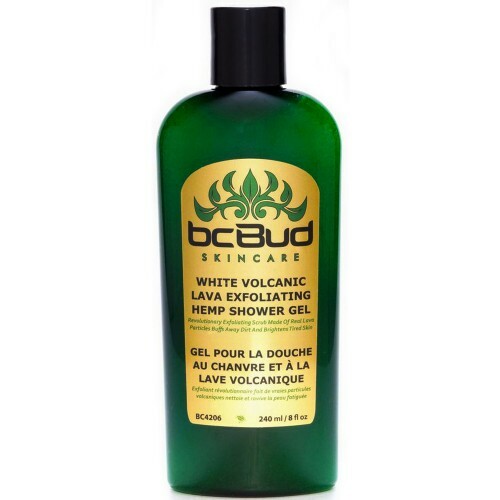 Because the lava particles exfoliate without harshness, this works great as a regular daily shower gel, soothing and cleansing while renewing your skin’s appearance and healthy glow. To moisturize your skin after, try our rich, delicious natural BC Bud Hemp & Olive Body Butter or lightweight, silky bcBud Hemp & Omega 3 Lotion. Deionized Water, Decyl Polyglucoside, Cocamidopropyl Betaine, Disodium Cocoamphodiacetate, Acrylates Copolymer, Hemp Seed Oil, Lava Powder, Vegetable Glycerine, Aloe Vera Leaf Juice, Optiphen, FD&C Green #3, Fragrance. Get wet. Soap up. Rinse off. Feel great. Follow up with your favorite body lotion. Safe for all skin types. Avoid use on broken or irritated skin.